With hundreds of classic and 3D pokies, table games, live dealer games and a huge sportsbook, Rich Casino provides Australian gamblers with a superb casino experience and premium-quality service. Users are guaranteed a 100% certified fair gaming, high-class security and Rich Casino’s commitment to the best practices in the industry. Download and install the casino app or play the magnificent online games in your browser – you get the same fascinating pleasure and fun at the comfort of your home. Payment options cannot boast being diverse – in fact, the casino accepts only Visa, MasterCard, Maestro, Bitcoin, Skrill, Neteller and ecoPayz for depositing. Anyway, all of them feature instant processing times and no banking fees applied. The minimum deposit amount is fixed at $25 regardless of your chosen payment instrument, while the minimum withdrawal amount varies. In Rich Casino, the max weekly limit for withdrawal depends on the player’s VIP status. New players are automatically granted the Basic VIP level and have the maximum withdrawal limit of $500 per week. As the player moves up the levels, he unlocks new perks including enhanced withdrawal limits. Master members (the highest VIP ranking) have no limits at all. Besides, VIP members get special treatment, tailor-made bonuses and access to exclusive tournaments. 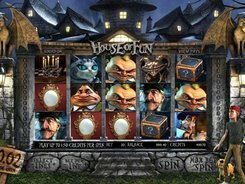 in addition to regular bonuses listed above, Rich Casino holds special tournaments that are timed to coincide with a holiday or are devoted to certain pokies, for example, latest releases. The gaming content is provided by Pragmatic Play, NetEnt, Microgaming, iSoftBet, Octopus Gaming, Rival, ViG, Vivo Gaming and Habanero. 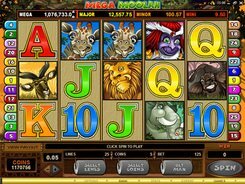 The collection includes over 800 video pokies, classic pokies, live dealer games, table games and video poker, with new solutions added on a regular basis. As is known, every pokie has a certain volatility that is indicative of how often the pokie pays out and how much. In Rich Casino, pokies are marked with one, two or three Lightning symbols to illustrate whether the game features low, medium or high volatility.